Had the exact same problem with larger jobs to small jobs. Turned out I had to tune the belts of which to me was pretty tight. You should almost hear a tune when you pluck them. I was only cutting MDF, but Zach told me to decrease the depth of cut and increase my inches per minute and that worked. Hope that helps. @DavidLair Would you be willing to share the step by step process, or even photos on how you did it? Did you have to adjust the pot? It's one step I did not take, but would like to know in the future how to do it. The instructions weren't very clear on which dial to tune etc. Any help would be appreciated. Do not over-torque these pots - they are tiny and gentle and will break. The pots have 270 degrees of rotation. Y-axis jumped 3 inches, help! Y axis off - between rough/detail type cuts? This procedure fixed my machine as well, thank you Zach for pointing me to this thread. For me I used the Universal GCode Sender to perform this. Once connected I set the step to 20 and backed off the screw on the X and Y axis (my Z was fine) until it would barely move. I then increased it until you could tell it was moving with a roughness to the motors. I then decreased until they just got smooth. Problem solved, no more losing square. Take some time and read about homing and soft limits. The switches can be both homing and limit switches, it is just a matter of changing one grbl setting. oh cool…so there is a way to make machine shut off once the switch is made?.. if so is it an easy process?..can you assist me? i would have to desgin limit switch setups for the other 3 positions??? I have limit switches on both ends of the X axis and the Y axis, I only have 1 limit on the top of the Z Axis. When I was using grbl (I have since changed out my controller) but they are still wired the same…I tie both X axis switches to the same connection and both Y axis switches together as well. The grbl controller is prone to electrical noise and I recommend shielded wires for all switches. thats all i have to do ? other than wiring? once i do that what would happen if limit switch is triggered? machine would shut off? 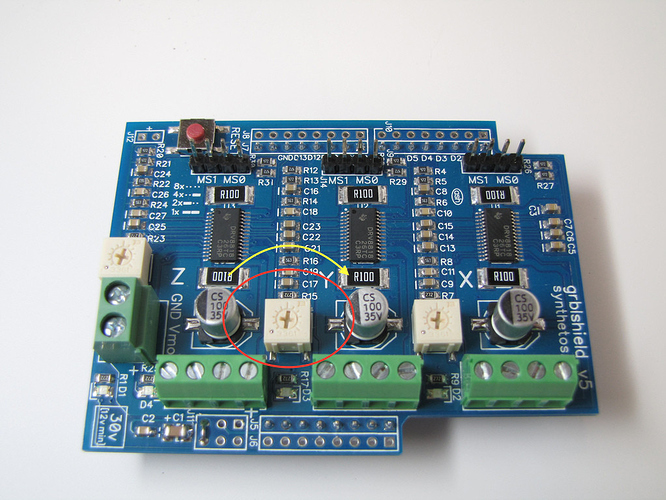 Change the setting is all you have to do (and the wiring) and the switches will act as both homing and limit switches. If a switch is hit the machine will stop all motion…I don’t believe the spindle turns off (I don’t remember). I home my machine when I first turn on the machine for use every time…so I am using them for both. A properly configured, mechanically sound machine running adequate feeds&speeds should not loose steps to begin with. I would primarely focus my attention on getting your machine operating properly. When that is done soft limits are quite capable as a fail safe for many scenarios. Hard limit switches are also possible as a furhter barrier to chaos. You could use a relay that control all power to the CNC, when tripped power is shut down completely, router and all. But based on most of your postings recently I think you have a combination of issues, mechanical and feeds&speeds. Gshield? If so it is not able to provide enough current to your steppers to bring out their potensial. Especially on Y where two steppers share one inadequate driver. There is also the chance of the drivers overheating which will cause sudden “pause in motion” for the troubled axis until its cooled down again. If you are willing to lean on the experience of this forum, and make a specific thread for your machine, we may be able to help you. 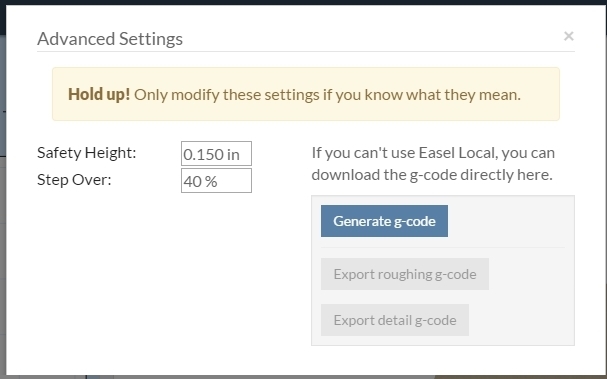 Show us your machine, share your GRBL parameters and feed rates in one place. That makes it easier for us to help.